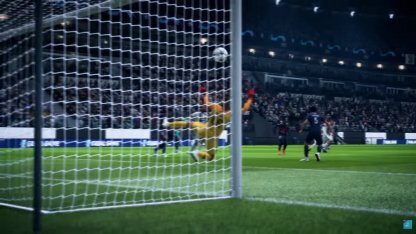 Check out different ways to improve your shooting in FIFA 19! Learn different shot types, score using free kicks and crosses, & more in this How To Guide! Know An Easier Way To Score! Devising different ways to score goals in FIFA is just one of the reasons why it makes the game so fun. 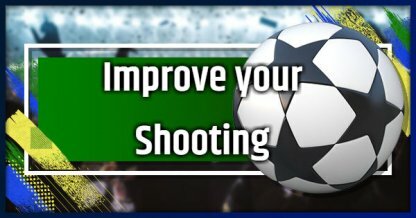 Here are some other ways to further improve your shooting and let you score more goals! Each shot is most effective when used in different situations. Learn to use specific shots to maximize each attempt! Shot Fake A fake shot attempt. 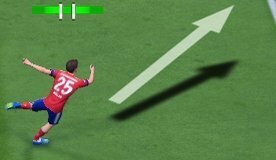 "Shoot" button, then "Pass" button Use to fake out enemy players when attempting to score. Timed Shooting introduces a timed element that can improve or worsen your shot. Press the "Shoot" button again when the markers in your gauge are in the middle for a better shot. Practice this to make your shots more devastating! Holding the "Shoot" button will charge your shot making it cover more ground! You do not need to hold it for long when you are attempting to score near the goal. Shot Fakes are also a useful tool to add to your arsenal. It tricks players and maybe even goalkeepers. This may then collapse their defense giving you a better opportunity to score! Having a clear path in front of you will almost always lead to great goal attempts. However, if something is blocking your line of sight, it is recommended to reposition your character, or pass the ball instead of shooting. Free Kicks can also be converted into goals if you are at the right distance, and know the different Free Kick Techniques. Crosses are lob passes from the side of the goal to the center, where a striker is usually waiting. There is a lot of luck involved since you will be fighting to touch the ball first. However, this is still a viable way to score, and it looks really good!